Work continues to formulate policies for our Neighbourhood Plan and on gathering data to generate evidence supporting these policies. Recruitment of experts to assist in drawing up some of the more complex assessments is now underway. The results of the questionnaire, which have been compiled and summarised by an independent party, provide a useful starting point on which to formulate policies. However further consultation with the village community remains essential to shape the plan. Come and have your say at the Community Consultation Workshop, independently facilitated by Community First Oxfordshire, Saturday March 2nd 2019 2- 5pm at Sutton Courtenay Village Hall. It is important that you express your views, whether or not you have already completed a questionnaire, so that the aspirations of all of Sutton Courtenay’s residents can be considered in developing the policies which will eventually influence the future development of our village. A pizza night, at which young people can contribute their views through focused group sessions, is also being planned for a later date. However, residents of all ages will be welcome at the workshop on 2nd March. Community Consultation is not only a statutory requirement but also, and we believe, the keystone to an inclusive Neighbourhood Plan. Thank you to all the volunteers who helped to deliver and collect the questionnaires for the village survey. Following the completion of the data collation and feedback, the Neighbourhood Plan Steering Group is proposing to hold two community consultation events in mid to late February 2019. A workshop facilitated by an independent group – Oxfordshire Community First. It is an open event for everyone in the community. Date will be published widely and in the February Village News. It is an opportunity to contribute further as well as for those who, for whatever reason, were not able to complete a questionnaire. A Pizza Night for young people to contribute in focussed group sessions. What is this? Evidence is extremely important as it ensures that the choices made in our neighbourhood plan are backed by facts. The Independent examiners may recommend that a policy is deleted or modified if it is not underpinned with appropriate evidence. For example, if affordable housing is identified as a priority for the community, this will require policies on type and tenure, design / layout. These policies will need to be underpinned with data on current population, trends and projections, current housing stock (type and tenure), housing need (objectively assessed) in the area, housing prices (purchase and rent) and affordability, existing housing and development policies and strategies. Policies to fulfil the aspirations expressed in a Neighbourhood Plan on heritage, green spaces, footpaths and other amenities will similarly require gathering of data and facts on the status and justification provided for the changed need. The Parish Council has been awarded a grant of £10,000 to offset some of the costs. Once the technical specification for the assessments are better defined, further grant applications will be made. The SC Neighbourhood Plan Steering Group would like to thank everyone who took time over the summer to complete what was a lengthy questionnaire. 663 responses were returned from villagers cross the village, both long standing residents and newcomers. At the moment we have an independent expert analysing the data, who not only has relevant experience in this field but has no connection with either the steering group or the village. All Steering Group meetings are open meetings and anyone interested is welcome to attend. Our next meeting is at 7pm on 9th October at the village hall. At the meeting we propose to review the analyses and should be able to gauge a fuller understanding of all local issues and put action plans in place. This work will feed in to the draft Neighbourhood Plan making it fully relevant to the needs of villagers and the desires of the community. The questionnaire is being distributed to all households in the village at the moment. Please look out for it as it drops through your letter box. Completion of the questionnaire is vital as it will form the basis of the Neighbourhood Plan for Sutton Courtenay. This is your chance to influence the decision makers in local government about what you want for your village’s future. Every resident must have an idea about which way they want the village to go. Remember the steering group will take into account all responses when producing the plan. Are you able to help? 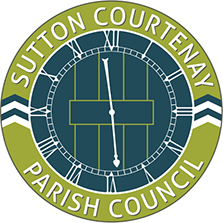 In last month’s Sutton Courtenay News we reported that we were in the process of preparing a questionnaire for all residents in Sutton Courtenay to complete. The questionnaire is now ready and we plan to distribute it to all households this month. We are looking for more volunteers to initially help with distribution and collection. Later on volunteers could get involved in working towards the production of a draft neighbourhood Plan which will reflect the views of villagers obtained from the completed questionnaires. If you are interested in how our village should grow and develop into the future and have some spare time please get in touch with the Clerk to the Parish Council. 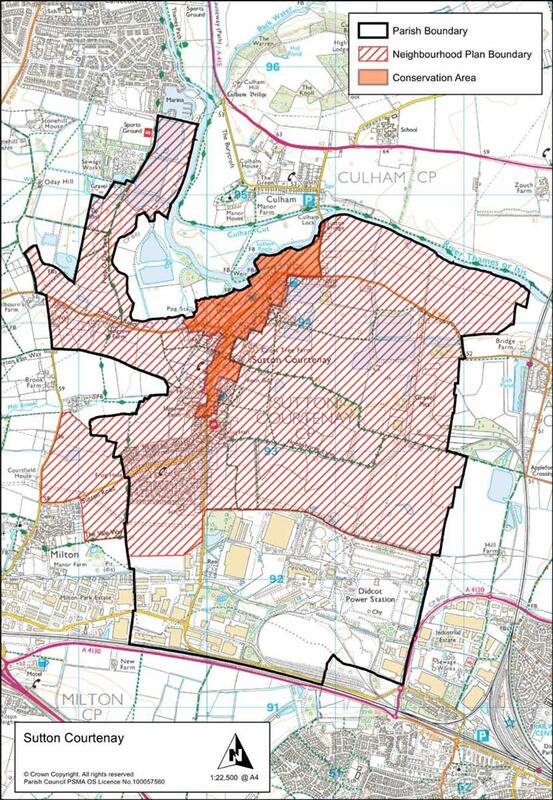 You may remember some time ago we reported that Sutton Courtenay was starting to prepare a Neighbourhood Plan. The preparation of our plan has become more urgent since the announcement in the November 2017 Budget that Oxfordshire had reached a deal with the Government to build 100,000 homes in the county within the next 14 years. Without a plan our village could be left more vulnerable than elsewhere to development particularly as neighbouring villages and those villages surrounding Didcot either have their plans in place or in preparation. A Neighbourhood Plan becomes a legal document which must be taken into account by the planning authority when considering planning applications. It is therefore essential, that as many residents as possible play their part to ensure their views regarding the village as it stands now and how the village may grow and develop into the future are included and form part of the plan itself. In order to obtain your views a draft questionnaire, which covers issues such as housing, the local environment, the village community and facilities and infrastructure, has been prepared and is being looked over by the District Council. It is hoped that the questionnaire will be distributed to all households this spring. It is important that as many residents as possible complete the questionnaire in order that the final plan fairly represents the sort of future we collectively want as a community. Accordingly, when you receive your copy please take time to complete the survey, either the paper copy or electronically. Help or assistance and a chance to discuss the contents will be available should you need it when the time comes. Once the Steering Group has analysed your responses, a draft plan reflecting the views of the village will be prepared for consultation. At this point you will have the opportunity to vote on whether or not to back the final plan before it is submitted for approval. Our vision is to safeguard the individual character and vitality of our historic Thames-side village whilst meeting the needs of villagers now and in the future. To maintain and improve a positive and welcoming community spirit across the whole village which includes everybody. To provide a built environment that promotes the wellbeing for all social groups and ages through amenities. To protect and enhance its distinct rural character whilst taking advantage of excellent connections to world-class science and business. To use land efficiently and to preserve agricultural land. To encourage and support home working. The Parish Council has been awarded a grant of £10,000 from the Vale of White Horse District Council towards the cost of the neighbourhood plan. The Vale of White Horse District Council has determined the Neighbourhood Plan Designated Boundary as shown on the plan below. Unfortunately the District Council did not agree to the inclusion of the whole parish, and has removed the power station site and Milton Park from the area that can be considered. The Neighbourhood Plan group can now work on the next stage and an application is being lodged with the Vale of White Horse District Council for the first available grant. We can’t put a stop to new developments, but we can influence their impact on the environment, safety, conservation, local services and amenities. Created in conjunction with the Parish Council, our Neighbourhood Development Plan (NDP) will ensure developers do more towards accommodating our needs and concerns, and take responsibility for delivering housing projects that don’t detract from the quality of life that makes our village so special. Once adopted, our NDP will be a legally binding land use document that means Sutton Courtenay can have a real say in the nature and scope of future developments. Without a NDP we will have no influence in shaping the future of Sutton Courtenay. Confusing terminology – Community Led Plan, Neighbourhood Plan, Local Plan? You may have heard these names being spoken about locally, and wondered whether they were the same thing or not. There can be some confusion about what precisely each plan is. Local Plan – The Planning and Compulsory Purchase Act 2004 (as amended by the Localism Act 2011) requires local planning authorities to prepare, maintain and publish a Local Development Scheme. The Scheme sets out the timetable for the production of Development Plan Documents. The Vale Local Plan 2031 forms part of this, and contains planning strategies and policies for the use, protection or development of land. The Plan has to be in general conformity with government guidance such as the National Planning Policy Framework. The preparation of such a Plan is a statutory requirement, and covers the wider Vale area. The community is a consultee only in such a Plan. Neighbourhood Plan – These Plans are not compulsory but give communities the right to have a say where development takes place in the area covered by the Plan and have a vision for the future. They allow the community to have a stronger role in shaping the area in which they live. Such a Plan can be initiated by the Parish Council, and once it has gone through the due process, it attains the same legal status as the Local Plan, and becomes part of the statutory development process. Neighbourhood Plans do have to comply with the policies within the national framework and the wider Vale District Council plans. Community Led Plan - Such a Plan allows local people to come together to explore the needs for the village area, set priorities and produce action plans to realise local aspirations. They are not part of any statutory framework, are not compulsory, but they do bring together the thoughts of the community on what the local key issues are. The strengths and positive features of the village, things that you value and would like to keep. The largest threat to the wellbeing of our village. The negative features of the village, things that you don’t like and would like to get rid of or improve. Those things missing from our village that you would like to see added. How can we make the most of our resources? Our NP is a very real opportunity to incorporate your views and determine how the VWHDC Local Plan is applied to our village. The NP must be a genuine community document involving residents, community organisations, businesses and landowners. We need your help so please get in touch. The Parish Council has resolved to undertake a neighbourhood plan for the area. This will set out the aims and vision for the future. Everyone in Sutton Courtenay was invited to submit comments and/or attend the Neighbourhood Planning information evening on 25/11/2015. The event was attended by 66 people from across the village and was chaired by Community First Oxfordshire. Attendees heard an overview of Neighbourhood Plans from David Potter (VoWH District Council Neighbourhood Planning Officer), followed by a short, practical presentation about how a NP is produced, including timescales, costs, process and resources from Claire Myerson (SCPC). Richard Williams (Drayton PC) gave a community perspective of Neighbourhood Planning. Drayton is the adjoining parish to Sutton Courtenay and is subject to similar and sometimes overlapping development issues. Drayton’s Neighbourhood Plan recently received 90% support at a community referendum and has been adopted by VoWH District Council. Mr Williams explained that the NP had involved much hard work but had been a very worthwhile process. It had described what the people of Drayton wanted to see in the future to improve their village, while significantly improving the Parish Council negotiating position with developers. Following the presentations, attendees were then asked to discuss in smaller groups the positives and negatives for neighbourhood planning in Sutton Courtenay. At the end of the evening, each group summarised the main arguments as they saw them and 17 villagers also volunteered to get involved in the production of a neighbourhood plan, if it were to go ahead. At the Sutton Courtenay Parish Council meeting on 1/12/2015, councillors discussed the merits of neighbourhood planning in SC – including many of the points for and against that were made at the information evening – and then voted to proceed with work on a plan for Sutton Courtenay, by a majority of 5 to 4 in favour. The group heard that the Parish Council hoped to recruit a part-time administrator to support the steering group with its work from April 2016. The discussion also centred on the importance of making sure that the groups working on the plan represent the whole community and use the skills and knowledge of local people as far as possible. At the meeting, 16 villagers put their names forward to join the steering group and/or get more involved in one of the neighbourhood plan working groups in the future. The date for the first steering group meeting was set for 8/2/2016.